LIAM Boyce has forced himself into the reckoning for Northern Ireland’s crucial World Cup qualifier against Azerbaijan in Baku on June 10. 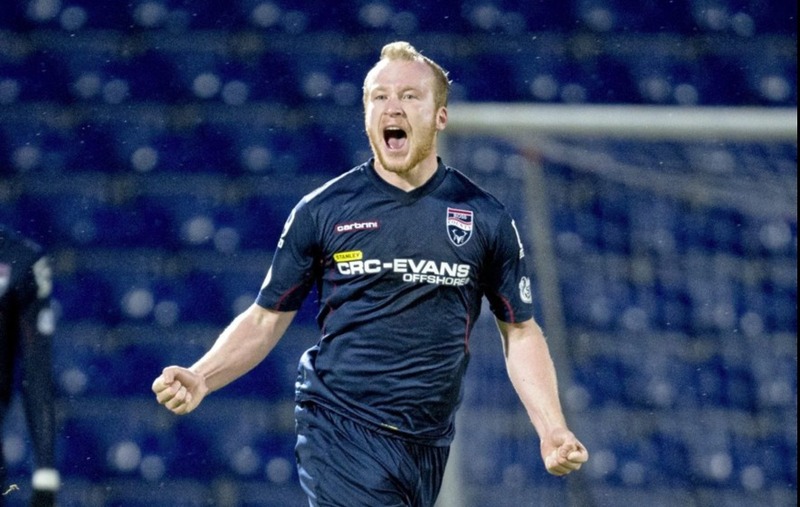 Former Cliftonville striker Boyce, who was left out of the 23-man squad that went to last summer’s European Championship in France, hit 23 goals for Ross County to finish top scorer in the Scottish Premiership last season. Boyce made his international debut back in 2011 but has played just 13 minutes of competitive action since; featuring in two games - European Qualifiers against Slovenia in 2011 and Greece last year. “I’ve been impressed with Liam the past three seasons,” he said. “The first year he had a great second half of the season, the second year he had a great first half and then last season he struggled a little big after the turn of the year with a hand injury and he struggled in big games which probably went against him when it came to picking the 23 players to go to France. It was really a toss of a coin between him and Will Grigg. “Having got over disappointment of not going he has reacted very well. He’s had a great season. It’s not only the number of goals he’s scored (23) but he’s also played slightly deeper at times. “He has played in wider areas and we’ve watched him on a consistent basis – myself and Jimmy Nicholl saw a lot of him – and I’ve been very impressed. 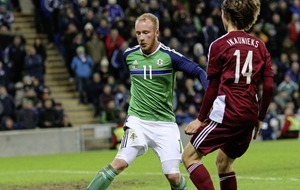 Wigan Athletic striker Grigg did not feature in the European Championships and has since fallen out of favour. 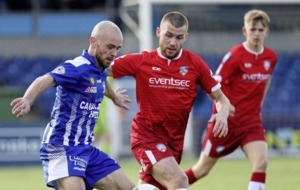 With Connor Washington also out, O’Neill’s forward options are Boyce, Kyle Lafferty (now unattached), Charlton’s Josh Magennis and Accrington Stanley’s former Down GAA starlet Shay McCartan. With 10 points from five games, Northern Ireland sit second in Group C behind runaway leaders Germany. The Czech Republic are two points behind in third and travel to Norway on June 10. While a result in Baku would leave the North well placed for a qualification play-off, defeat would see Azerbaijan join them on 10 points. “Three points will give us a really strong position in the group going into the two double-headers in September and October,” said O’Neill. “We have a tough finish, we have the Czech Republic, Germany and then Norway away but we the opportunity to put points on the board. 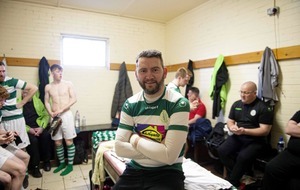 Meanwhile, former Down minor Shay McCartan has been called up after 11 goals in the final 22 games of his season with League Two outfit Accrington Stanley. He added: ““He’s an out-and-out goalscorer. “He is sharp, goes in behind, he’s a good finisher. He’s the type of player that sometimes in the game doesn’t do a lot and then scores a goal out of nothing – I remember watching him play for the U21s against Ukraine and he scored an absolutely fabulous goal out of nothing. He has something extra but he does need to get to a higher level. Northern Ireland squad: R Carroll (Linfield), M McGovern (Norwich), A Mannus (St Johnstone), A Hughes (Hearts), G McAuley (West Brom), J Evans (West Brom), C Brunt (West Brom), C Cathcart (Watford), C McLaughlin (Fleetwood), L Hodson (Rangers), D Lafferty (Sheffield United), A Thompson (Southend), R McLaughlin (Oldham), T Flanagan (Burton), S Davis (Southampton), N McGinn (Aberdeen), O Norwood (Brighton), S Ferguson (Millwall), S Dallas (Leeds), P Paton (St. Johnstone), M Lund (Burton), K Lafferty (unattached), J Magennis (Charlton), L Boyce (Ross County), S McCartan (Accrington Stanley).